Ordinary Petri nets often do not have sufficient power to represent and handle approximate and uncertain information. Fuzzy Petri nets are defined in this paper using three types of fuzzy variables: local fuzzy variables, fuzzy marking variables, and global fuzzy variables. These three types of variables are used to model uncertainty based on different aspects of fuzzy information. 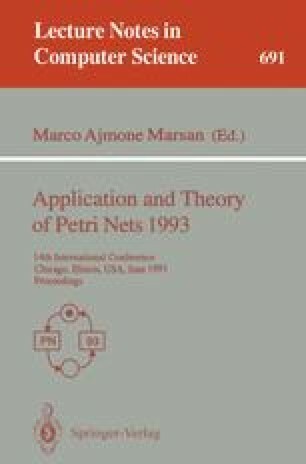 Several basic types of fuzzy Petri nets are analyzed, and the necessary and/or sufficient conditions of boundedness, liveness, and reversibility are given. An example of modeling sensory transitions in a robotic system is discussed to illustrate reasoning about input local fuzzy variables to obtain mutually exclusive tokens in the output places. This research was supported in part by the NASA Center for Intelligent Robotic Systems for Space Exploration at Rensselaer Polytechnic Institute.